Since when meditation becomes an item on everyone’s New Year resolutions? Even iff you’ve never meditated before, you’ve probably heard of how helpful it is for your body and mind. Being someone who constantly struggled with focus issues, I am truly aware of how meditation has improved my life. Starting meditation is probably one of the best decisions I’ve ever made. Helpful as it is, as a beginner, it can be tricky to stay focused and engaged in every session. 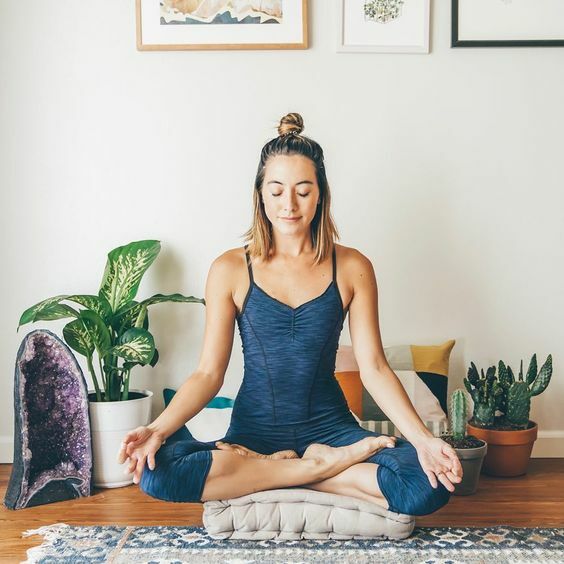 That’s why I rounded up a post about starting meditation as a beginner, and added in some resources and tools you may need (or may not) 🙂 Let’s dig in. I could probably write a 50,000-words essay to answer this question. But to sum up, it is a training for your brain muscles for me. Take dancing as an example. In order to do certain moves, you have to practice controlling a certain part of muscles. Meditation is the same kind of exercise. It helps us to regain control of our mind, to think and to function the way we want. As I believe, it’s also a process of learning to make peace with your own mind and to declutter from various unrelated and disturbing thoughts. 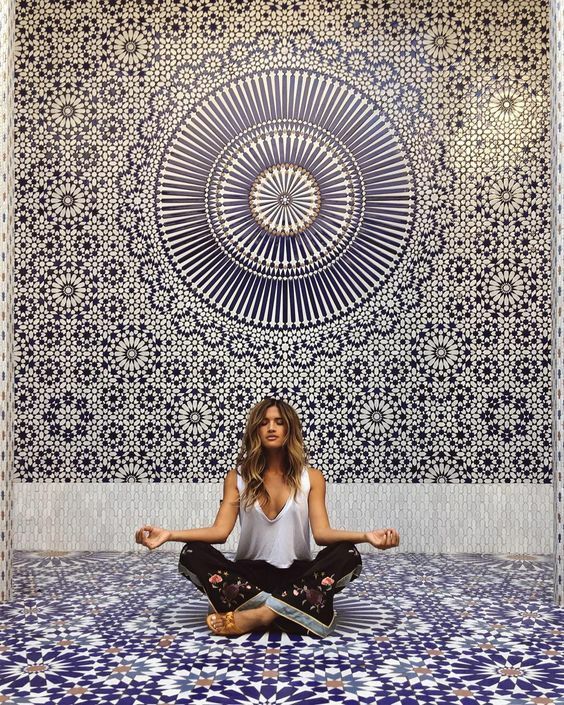 Research shows that during meditation, our metabolism rate drops and both our brain and body turn into a deep healing mode. Our stress level goes down, and our brain function is more fully developed. Scientists measured the brain wave during meditation and a higher incidence of alpha waves was shown.That means we are more concentrated in a productive mode. With long-term practices, our intelligence will enhance as well. Tests show that the deep calming effect of meditation is extremely restful and rejuvenating for the heart. It also helps to treat with high blood pressure. These are only the fundamental ones. Meditation is also used for weight loss, quitting smoking, curing depression and more. It is the definitely the most powerful exercise for a better psychological and physical Life. But how to meditate in the first place? Secure a place that you will not be disturbed for the next 20 minutes. If you are dedicated to meditating, you can set up your own meditation room or sacred corner. Decorate it with everything that speaks to you spiritually like crystals, candles or singing bowls. You can start with sitting cross-legged (lotus position). Keep your back straight up and eyes closed. Your knees should be placed well on the ground. If you have trouble sitting still for a long time, try to use a meditation cushion for support. It will help you to keep your posture right without hurting your lower back or your outer thighs. When everything else is settled down, close your eyes gently and shut yourself out from the outside world. Shift your attention to your breathing and try to feel the warmth of every breath with your lips. Relax your whole body and mind. Feel your muscles soften gradually as you concentrate on nothing but yourself. If you are not using any guided meditation, you may have weird thoughts distracting you from time to time. Don’t worry about it. Pull yourself back when you realize you are being carried away. Watch these thoughts come and go. The more you practice, you better you are at keeping your focus. As for the first session, you may only be able to stay still for 5 minutes. It’s already a good start! The duration of each session doesn’t equal the quality of your meditation. You have full control over the time and frequency of your sessions. After the meditation, write down how you feel. Make it into a meditation journal to see the changes you’ve made along the way. At my first few sessions, I have difficulties finding the most comfortable posture for meditation. I tried meditating on my bed. It was too soft and most of the stress fell on my back and neck. I also tried it on my yoga mat. It was too thin and made it painful to sit still for even 5 minutes. So if you are committed to meditating, a GOOD meditation pillow will be a worthy investment. It provides support for your spine and back. Because the pressure is shifted away, you will be able to enjoy a sore-free session. For meditation beginners, the most common mistake is to push yourself to “go blank” for the entire process. There’s a learning curve for everything, and meditation is no exception. You are going to get better and better each time as you practice more. Staying focused might be the most difficult thing to do for every meditation beginner. If it’s the same case for you, get yourself a mantra. By repeating your mantra with your eyes closed, it’s easier to stop your mind from wandering around. This new solution that may be helpful. It is a headband that keeps you focused and awake in meditation. By automatically detecting your brain waves, the headband will notice when your mind is distracted and gently remind you with different sounds. It functions like a meditation coach that always drags you back on the right track. Sinking yourself in the sofa or in bed associates with our brain as a you are about to go to sleep. That’s why you need to be in the right posture in the first place. Keep your back straight will help you to stay awake throughout the session. You can also set up your meditation room as we mentioned. 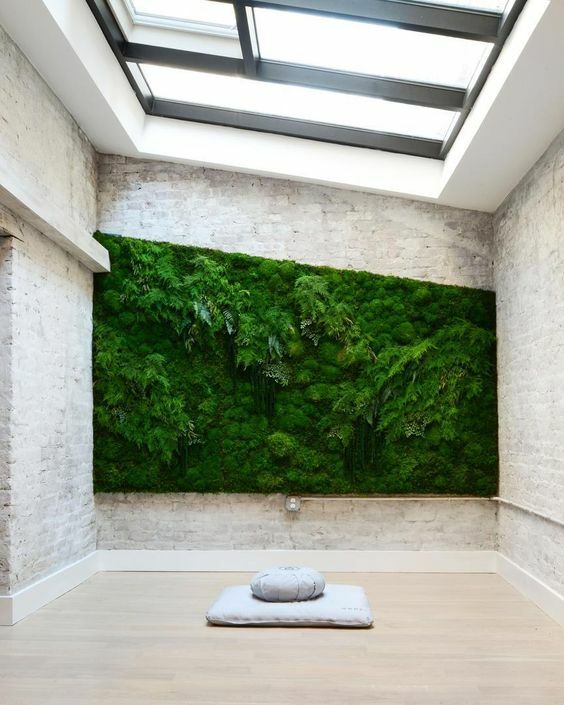 This small space is dedicated to meditation or mindful practice only. Not for entertainment. Not for sleep. Once your brain accepts the settings, it will turn your mind into the “meditation mode” whenever you are in your meditation room. Playing soothing music will help to keep your mind calm and aware as well. You are what you think. Be your own narrative. Describe things that comes to your mind. They are there for a reason. They might be a reflection of your over-stressful life. Or a source of fear, anger or sorrow. They more you are exposed to them, instead of hiding away, the easier it will be handling them every time. If you use public transportation to go to work, find a seat, close your eyes and concentrate on correct breathing. The secret to these train or bus sessions is not to fall asleep and to concentrate extra hard on maintaining the focus. You will find your day enlightened with maximum productivity. * Tip: Try to use an app (such as Headspace or Calm) or meditation music to keep your mind away from the surrounding noises. Do you go to the gym or work out regularly at home? This can be a good time to tag in a short meditation session. After you finished your workout, take 5 minutes to stretch yourself with your eyes closed. Try to cool your mind and body down before the shower. It could work wonders. This method is actually very popular among the monks. In order for this to work, you need to breathe and walk at a slow pace. You might get distracted especially if there are other people on the track and when this happens, simply acknowledge it and continue what you are doing. This is my go-to youtube channel when seeking a trace of peace. It helped me a lot when I knew definitely nothing about mental growth and mindfulness. In this video, the benefits and techniques of meditation are thoroughly explained. This video can be used in your first session, with soothing music and clear instructions, it will make your first try a pleasant experience. A famous TED speech was given by the creator of Headspace. (BTW it’s also my favorite app for meditation as well). His points about mindfulness are actually mind-blowing and will make you want to jump-start meditation right away. I love love love singing bowls. Listening to them are just joyful. You can make your own soothing sound with one of these most popular singing bowls. Looking for more? 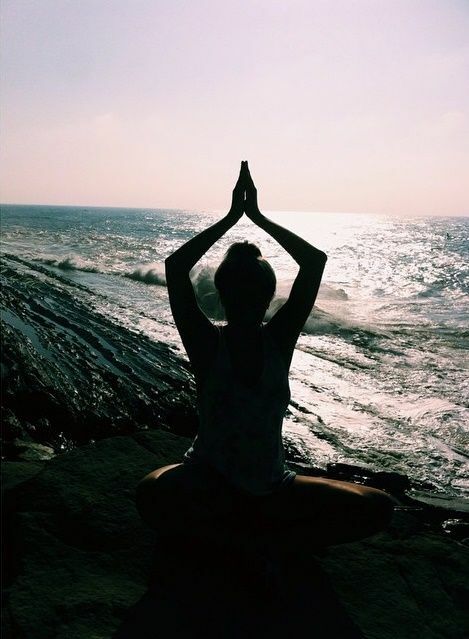 Here are some of the most loved meditation music.